I love succulents!! 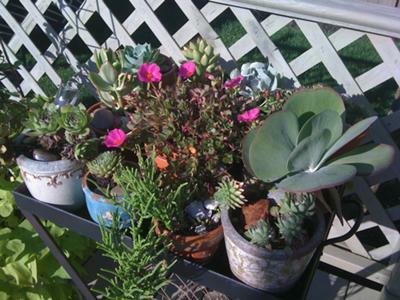 So this summer I decided to do a succulent tray using up a bunch of small eclectic pots to feature a variety. Lovely display, Theresa - hopefully you have room inside to overwinter them for next years display. The pink just POPS and you have great variety in your plant selection. Don't you just hate it that now, when everything is looking so good it's time to bring all the tenders inside? 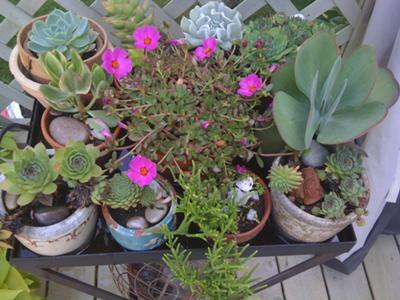 I've been busy tearing apart and repotting my container gardens for their "winter getaway indoors ... but am already looking forward to spring so I can start again. 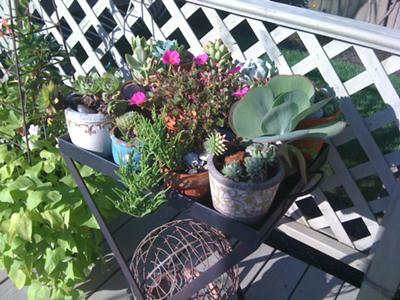 It's great to share ideas with others, I learn so much from observing how others display their succulents.